You know you're old when you remember the lamps that actually COULD be adjusted by the lever! Last night, while at the hotel, I decided to make a cup of hot tea before hitting the bed. I thought a cup of tea with some milk, er non-dairy creamer, and some sugar would make a nice bedtime drink. It was good, though the creamer was a bit lacking to say the least. I will never do that again. I don't know if it was the caffeine, the creamer, the long drive to the hotel, or a combination of all of it, but I had the craziest dream after I fell asleep following the drinking of the tea. I won't go into too much detail because it would probably send most people running for the hills, even though it was only a dream, but let's just say that it was part real-life Grand Theft Auto (thanks to my son showing me the new GTA earlier in the day), part Stephen King (thanks to an audiobook I listened to on the way up), and part.. I don't even know what to call it.. It was bizarre to be the lead in a dream that I felt like I could not control. It has been a long time since I dreamed something I couldn't control. Are you a dream-director? I can start a dream and then realize it is a dream. I don't wake from it, but rather change what is happening to better suit the outcome or the scene. It's a talent I picked up in college from a friend and then perfected after Shan and I were married. Shan's Grandmother (Mamaw) taught her how to "change the channel" when a dream go to be too bad. She simply reaches up to her nose and twists it like an old-fashioned TV. While I don't do that, I have learned how to change aspects of the dreams I have. "You've had enough tea for today..." Woody to Buzz in Toy Story. Earlier this week, I made a trip out to an area school to see if I could help figure out why they could not access the digital sign located near the main road. They had wireless access to the sign, but after a power surge, they lost connectivity to the sign and to the access points. They replaced the access points and could a signal to the access point at the sign, but not the sign itself. We started by checking the settings in the bridged access points. Everything seemed to be checking out because we could get to both the one at the main location and the one at the sign. The sign itself, however, eluded our efforts to connect to it. After a few more bouts, we decided it would be best to start at the sign end and work our way back. We opened the sign and examined the guts. We looked over the various connections and determined that some of the network ports on the internal switch might not have been working, or maybe just not configured to be used. At some point, it occurred to us that we might need a crossover cable, but certain ports gave us connection when we hooked up a laptop. Very weird. There was an IP address listed on the unit, as well as several others listed in the various manuals we had. Trying to hit those IPs, however, proved fruitless. I am condensing this tale for the sake of space and for the fact that I don't remember the exact steps and details, and they aren't really necessary to get the general gist. In any case, at some point, we called the manufacturer. The reseller/installer left the district high-and-dry several years ago. After convincing the manufacturer that we were on the up-and-up, the tech offered a few suggestions. One of these included the connection of a monitor, keyboard, and mouse to the system in order to access the console. We ate lunch before tackling this. After lunch, we did as we were instructed, and sure enough, after we rebooted the sign, we saw the sign's computer on our screen. Supposedly, rebooting the sign was supposed to flash the IP address and subnet to all passersby. There were four of us watching at one point, and none of us ever saw it if it did flash up there. Once in the system, we were able to ascertain the address. It was the same address that had been programmed into the connected access point! In their defense, the information had been incorrectly documented, or at least incompletely documented by the installers. We fixed the addressing situation and after a few false starts and reconfiguring the sign software on the end-user side, we hit the jackpot! We documented the new, working, settings. We then went to the end-user and updated the information so that she could update the sign per her schedule. Whew! Well, I suppose I should say that we put the sign back in order and locked it all down and THEN we went to the end user. 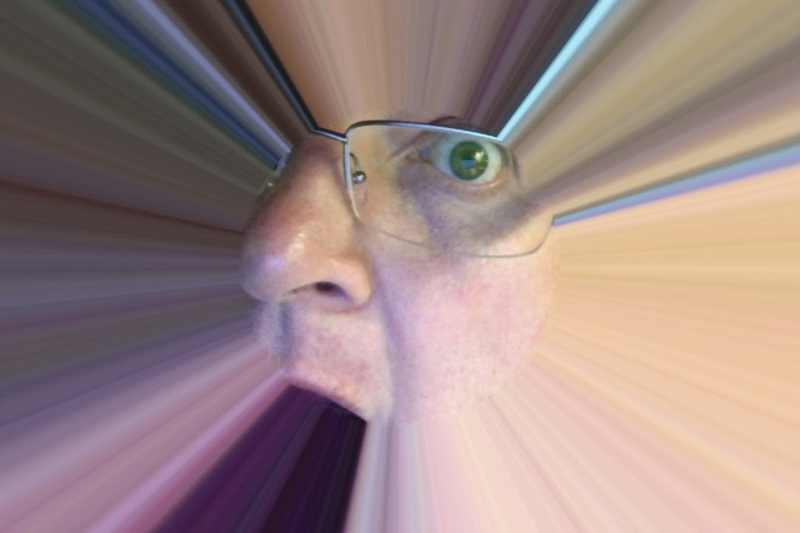 Another issue I was asked to look into while there concentrated on their Mac OS X/ Active Directory integration. They were having an issue with user home folders. After a bit of troubleshooting, I came up with a solution that involved changing the path to the user folder so that the Mac OS X smb protocol could hit the folder as a root. Since all the users were already created, updating all the folders, shares, paths, and accounts would be quite an undertaking. It turns out, the users were already saving files to their Google Drives with various shared folders, etc. No need in fixing something that isn't broken. The district decided to keep things the way they are for now. 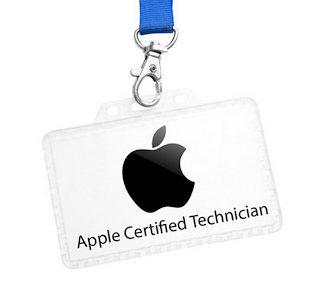 I am in class for Apple Certified Mac Technician training. Today was the first day. I have another day this week, then we come back next week for a full week of training before the exams. It's been awhile since I've been in class and I suddenly feel like a kid in college. Haha! I will be doing some serious studying this weekend in prep for my exam. Once I am certified, we plan to set up our office as a place for our schools to have their Macs repaired. I'm looking forward to adding a certification to my repertoire, especially when it will benefit the schools that wish to use the newly-offered services. Google Billing Update: Invalid Request Error - Resolved, at least for me. Naturally, you take out "REPLACETHISWITHYOURDOMAIN" above and actually type your domain there. You should see a CAPTCHA code. Enter the info. You should be alerted that the reset link has been sent to your primary email address (most likely your GMAIL username with your registered domain name, mine was). I opened my secondary email to find the link. Click the link in the email. At this point (and/or possibly in the previous step as well), you will see your domain name's username. Make a note of that! Login to the admin console with your DOMAIN NAME account info. Do **NOT** login with your @gmail.com account!! Use your @mydomain.com account!! You may get a warning about logging in with two gmail accounts. Whatever, just keep moving. Once you are logged in, update/set your billing info! The present Tyler got me from the Texarkana ComicCon on Saturday! Very cool. Forever in our hearts.... My Dad, Jerry, 1945-2007. We miss you. Bud Kitty, our beloved (sometimes crazy, always loved) kitty. 1991-2007. Read it and leave your review @Lulu.com! 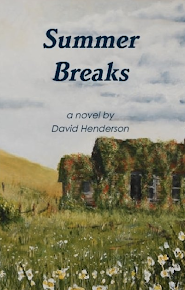 HSU Proscenium - 1999 Short Story, "Hero"
Popped in my Head is copyright David Henderson. Individual articles are copyrighted based on their publication date. All opinions expressed on this site are those solely of David Henderson and not his employer or associates.